Ed is a Certified Workers' Compensation Law Attorney (www.judiciary.state.nj.us/supreme_doc/njbac/) and has been practicing law in Burlington County since 1984. Ed has restricted his practice to representing injured workers in Workers' Compensation matters for many years. Ed handles all types of Workers' Compensation matters, including but not limited to issues regarding medical benefits, temporary benefits, and permanency awards. Ed is a graduate of Rutgers University (B.S.) and Rutgers School of Law (J.D.). Ed is admitted to practice law in the State of New Jersey and in the United States District Court for the District of New Jersey. 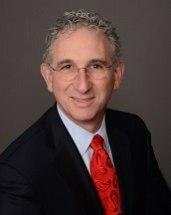 Ed is a member of the New Jersey Bar Association, Burlington County Bar Association, and Justice H. Coleman Inn of Court (http://www.justicecolemaninn.org/). Super Lawyers Magazine & New Jersey Monthly Magazine: "Super Lawyers" list - 2007 - 2016. No more than 5% of the attorneys in the state are named to the "Super Lawyers" list. See www.superlawyers.com for further information. The National Trial Lawyers: "Top 100 Trial Lawyers" list (South Jersey) See http://www.thenationaltriallawyers.org/ntl-groups/top-100-trial-lawyers/ for further information. SJ Magazine: "Top Lawyers" list - 2011. See sjmagazine.net for further information. •The Best Lawyers in America: Recognized in the Best Lawyers publication - 2015, 2016, & 2017. See http://www.bestlawyers.com/ for further information.